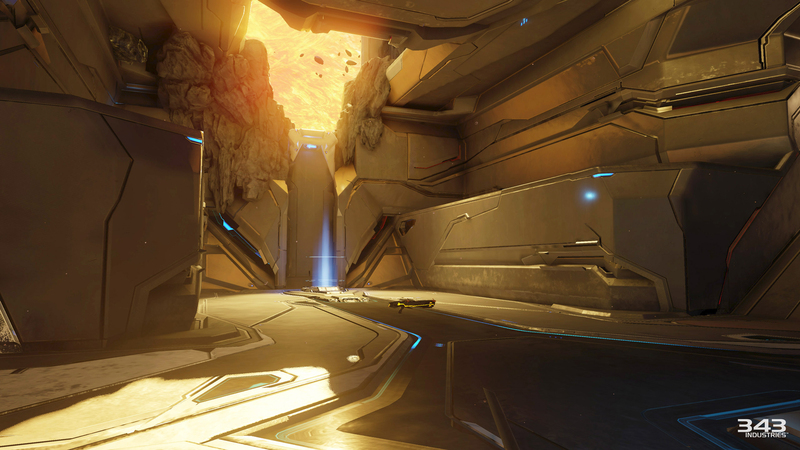 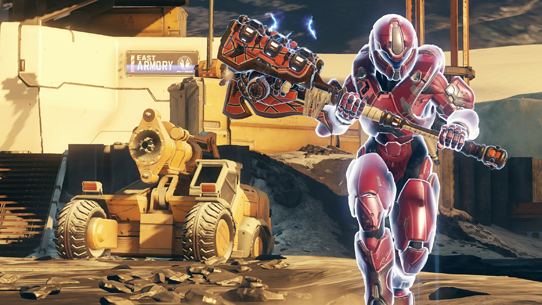 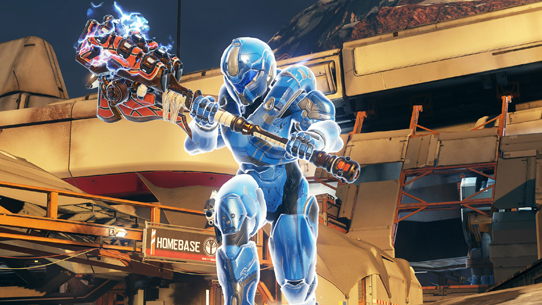 New maps for Arena and Warzone, all-new vehicle variants, new power weapons and more cosmetic REQs arrive in the free Ghosts of Meridian release for Halo 5: Guardians. 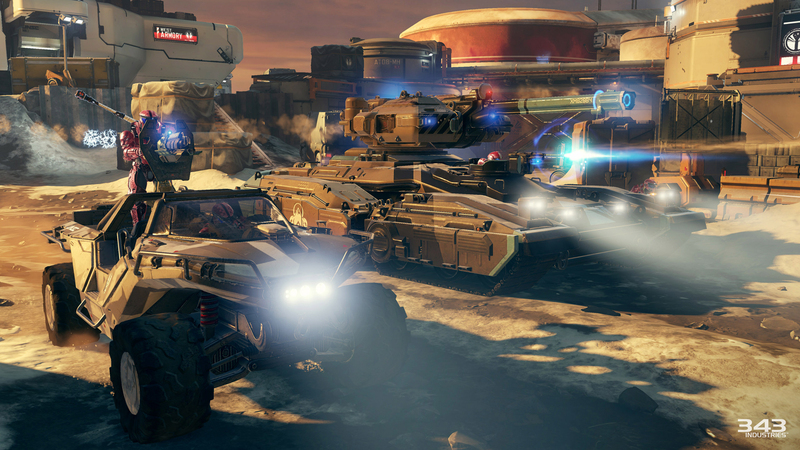 If Warzone is your multiplayer flavor of choice, party up and drop into Skirmish at Darkstar to take down opposing Spartans and never-before-seen bosses. 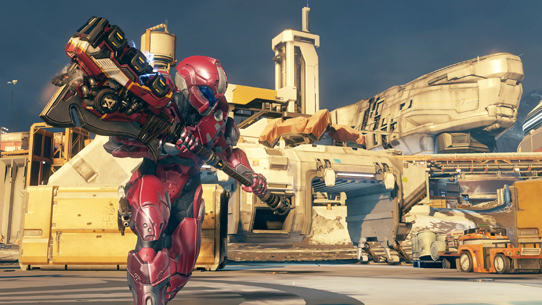 In Arena, you can engage in furious 4v4 battles and epic objectives on Tyrant, a new small-scale symmetrical map built for Capture the Flag and Assault game modes. 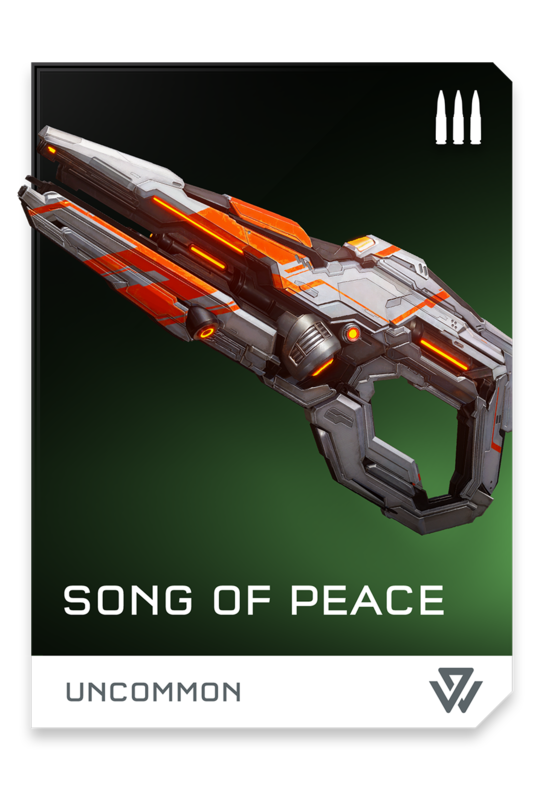 Ghosts of Meridian also includes a myriad of adjustments for Forge, as well as bug fixes and tweaks to Multiplayer, Campaign, UI, and more! 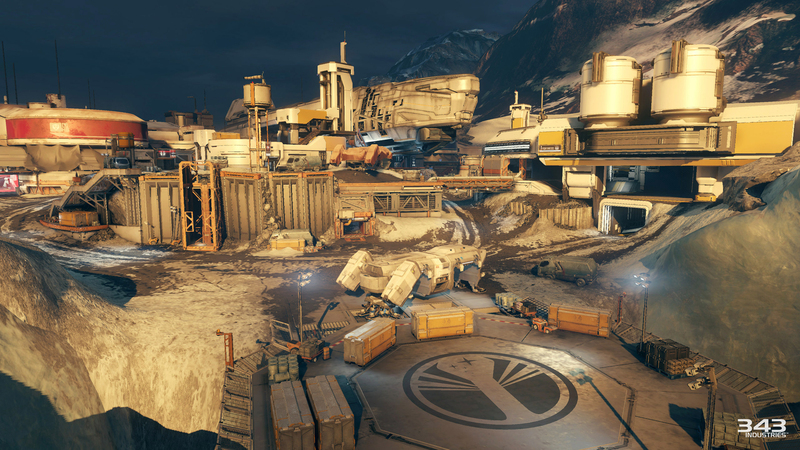 While the loss of Pinnacle Station dealt a massive blow to Liang-Dortmund’s operations on Meridian, demand for the planet’s vitrified resources has neither slaked nor slowed. 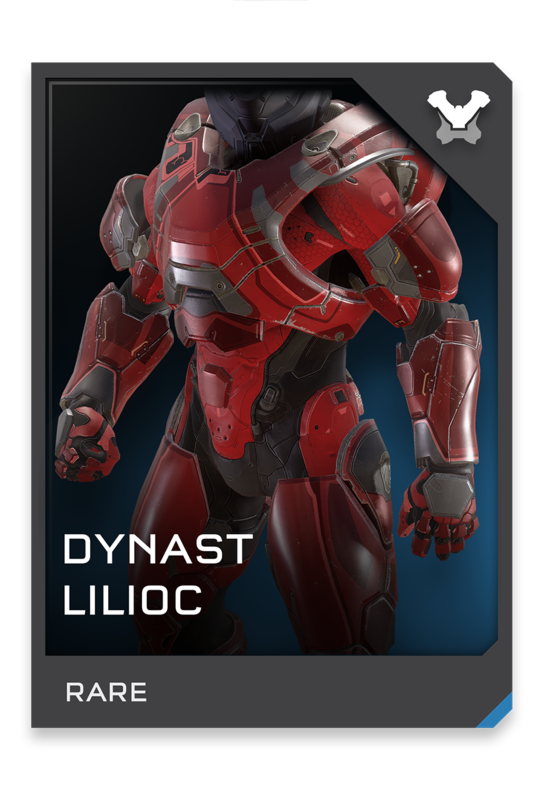 Working quickly and quietly to avoid the notice of the Created, regional directors at Liang-Dortmund quickly implemented contingency plans to mitigate the economic impact and reconstitute operations on the frontier planet-moon. Though the company’s local headquarters at Meridian Station was devastated, the remote polar outpost of Darkstar Station survived, its workers and engineers largely unaware of the disaster that unfolded on the other side of the planet and the uncertain future that awaits them under Cortana’s rule. 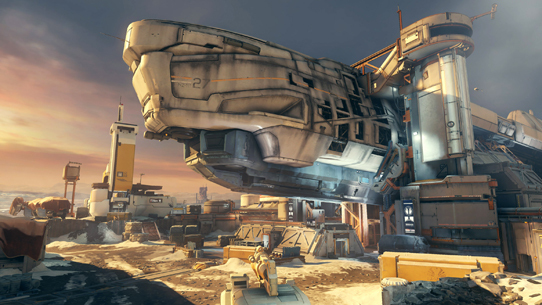 Despite the uncertain astro-political climate, Liang-Dortmund continues an accelerated resource gathering operation while tacit permission exists, transferring one of its largest resource processor ships, additional workers, and human resource specialists to Meridian’s orbit in order to continue work and assess the company’s remaining investments. But anomalies abound beneath the battered surface as ancient machinery buried deep in the planet’s mantle stir to life, and the UNSC makes plans to once again revisit the surface in search of answers, regardless of what forces that intervention may unleash. 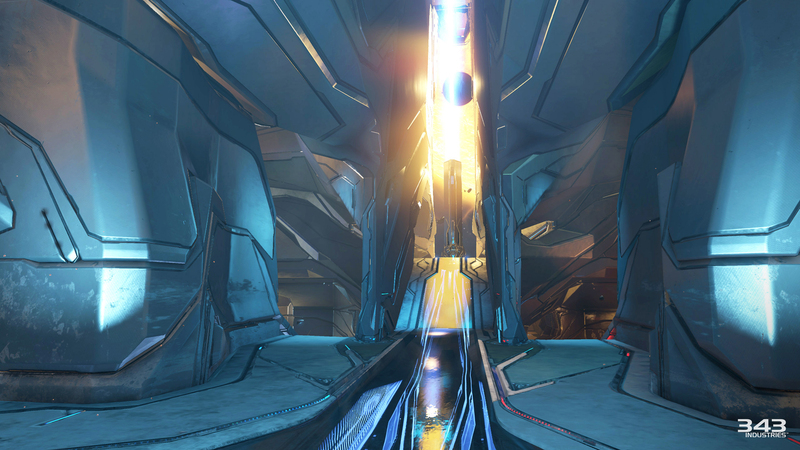 The facility known as Site C by human explorers is one of a handful of intact Forerunner structures remaining in the Zeta Hydronis Secundus system, a grim reminder that even godlike artifice can be undone by the minds and hands of mad tyrants. At the height of Forerunner power these planetoids hosted thriving colonies and seemingly impregnable fortresses, but the war against the Flood saw hard light walls collapse and planetoids shatter under the parasite’s relentless assault, cracks in the Forerunner defenses into which the Gravemind poured billions of combat forms, each walking corpse cackling with mad laughter that drowned out screams and shouts of defiance. 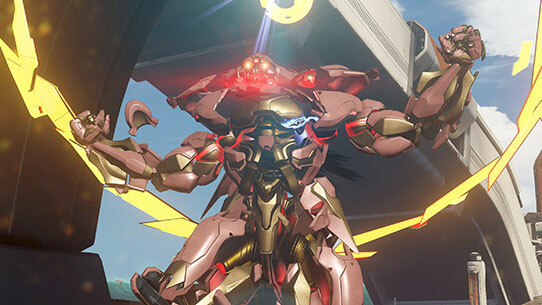 Warzone Firefight is an ambitious new multiplayer mode coming to Halo 5: Guardians that stands primed to offer the biggest Halo cooperative experience ever in franchise history. 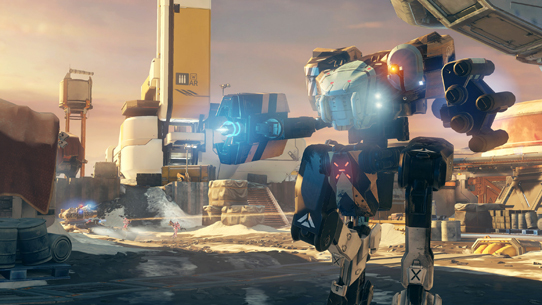 In Warzone Firefight, up to eight players will work together to complete five rounds of increasingly difficult, dynamic objectives set against a timer to emerge victorious. 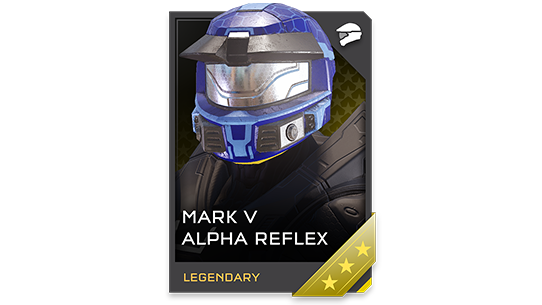 Since its reveal, players all across the world have been chomping at the bit to get a taste of this evolved PvE experience, and now we’re happy to announce that from April 14-18, we’ll be offering all Halo 5: Guardians players a chance to do just that with our special Warzone Firefight Beta. The five-day beta experience will see Spartan fireteams of up to 8 players battle against an onslaught of enemy AI on the Escape from A.R.C. 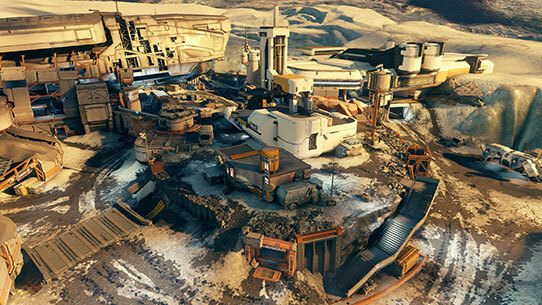 Warzone map. 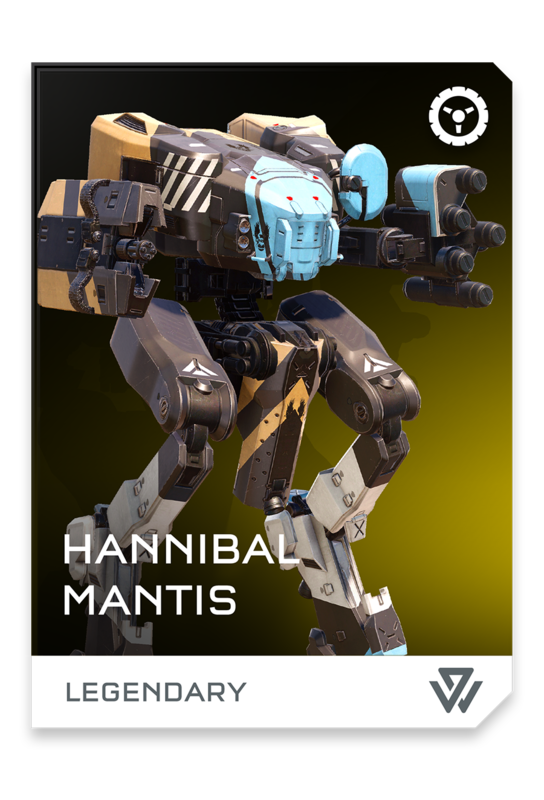 You and your friends will tackle a new objective for each of the five rounds, with each task growing progressively more demanding along the way. 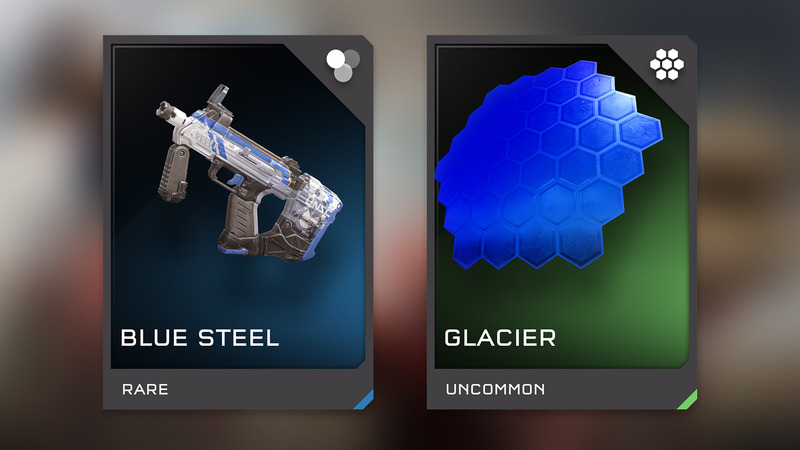 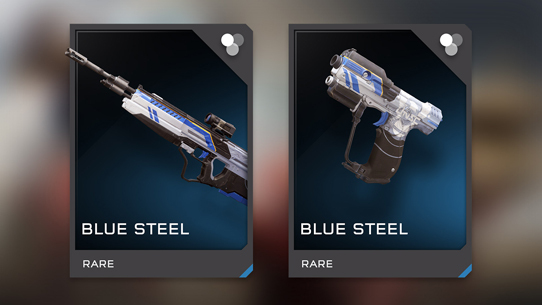 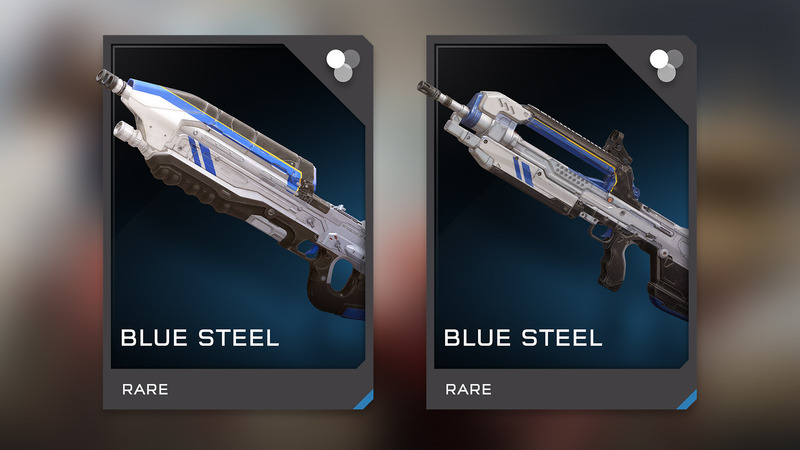 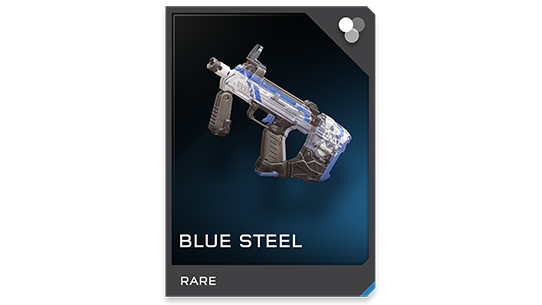 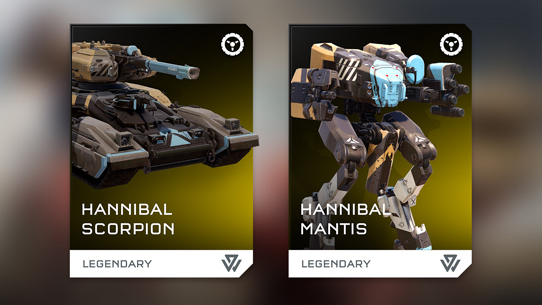 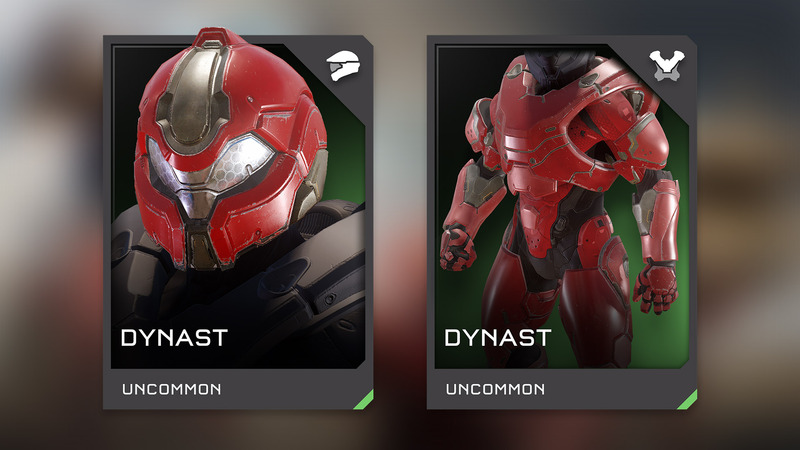 And since the mode is a fully realized member of the Warzone family, players will have full access to their arsenal in the Halo 5: Guardians REQ system, letting you leverage your REQs in new ways against computer-controlled enemies. 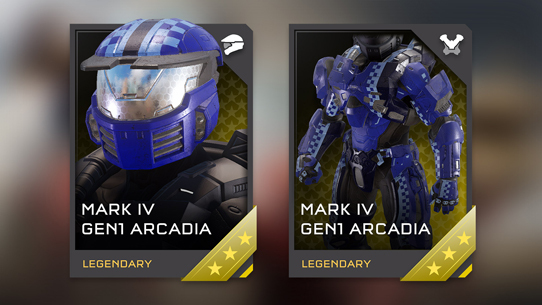 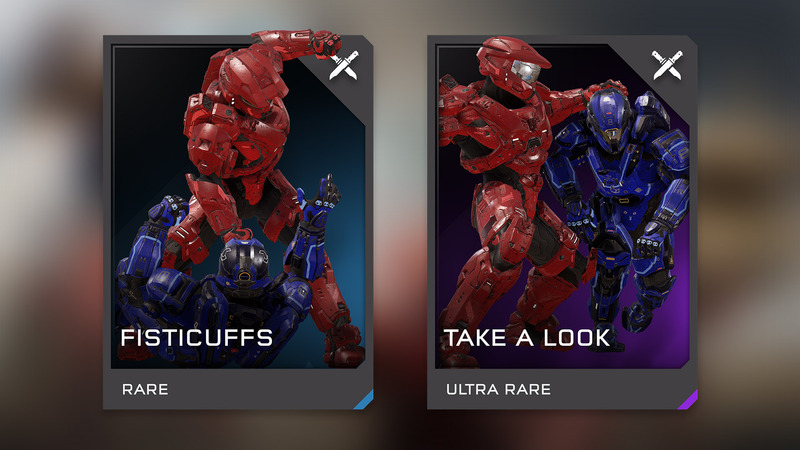 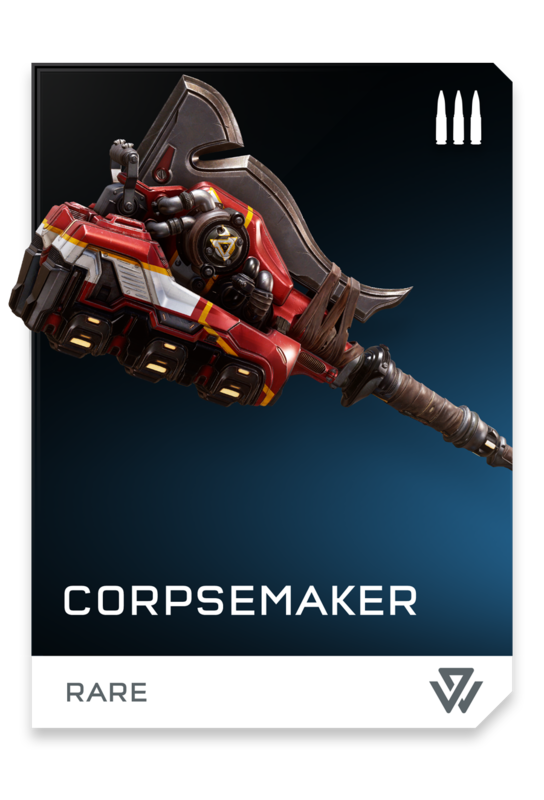 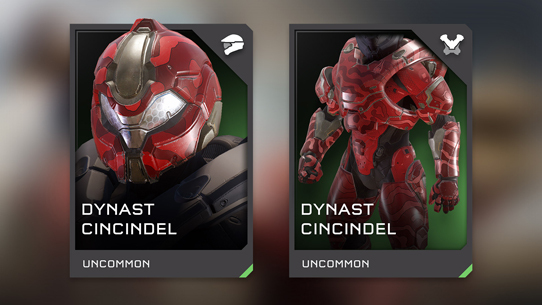 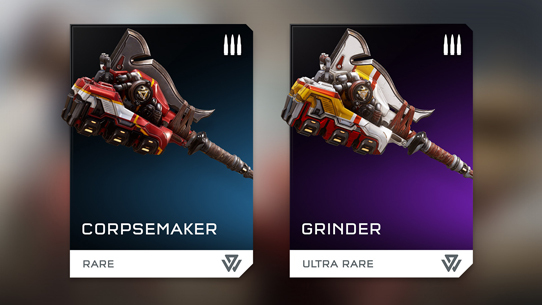 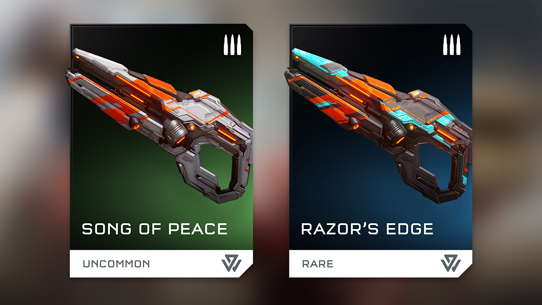 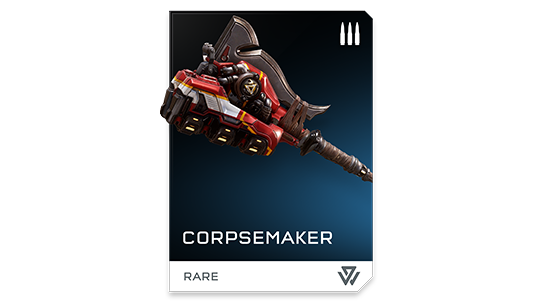 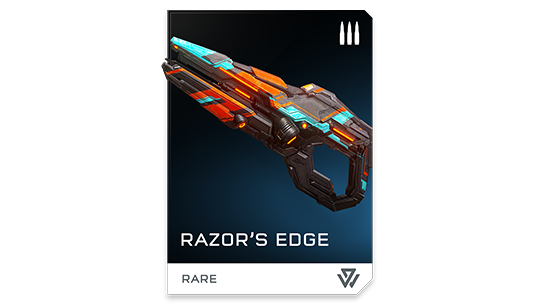 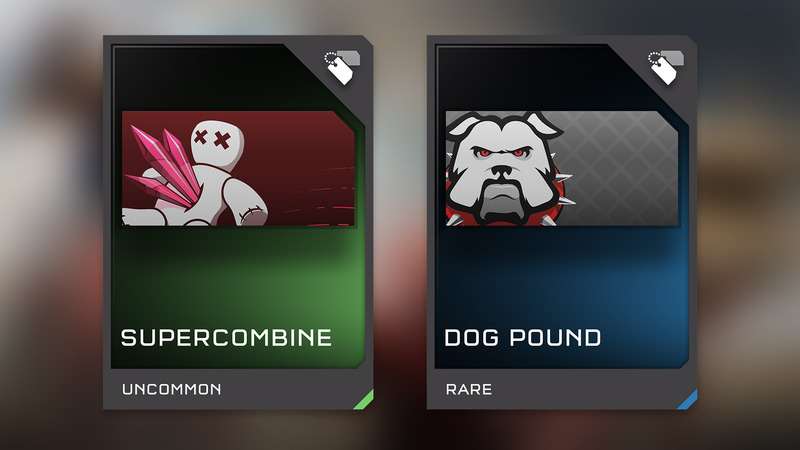 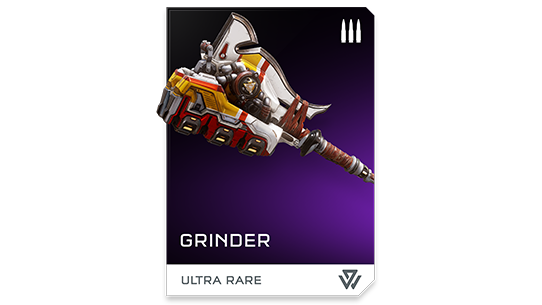 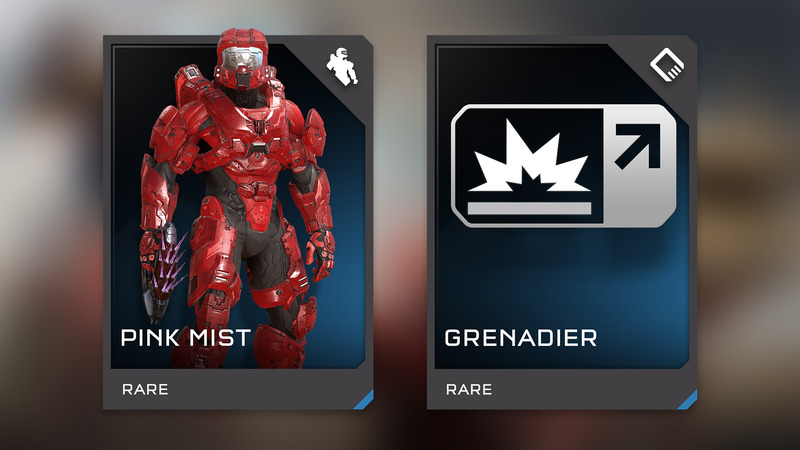 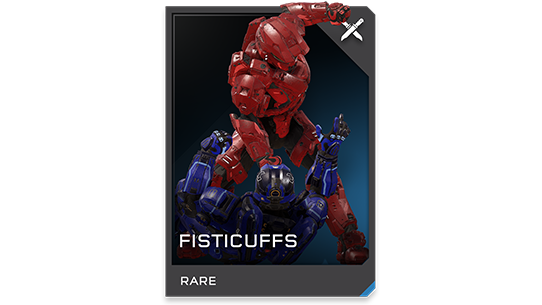 In addition, we will offer a brand new promotional pack – the Mythic Warzone REQ Pack – which will make it even easier for eager Spartans to unlock the most powerful REQs in the system. The Forge community continues to astound us with the incredible maps and play spaces carefully constructed since launch. With each update, Forge continues to grow and adapt to the needs of the community as a free service, and Ghosts of Meridian continues that philosophy. 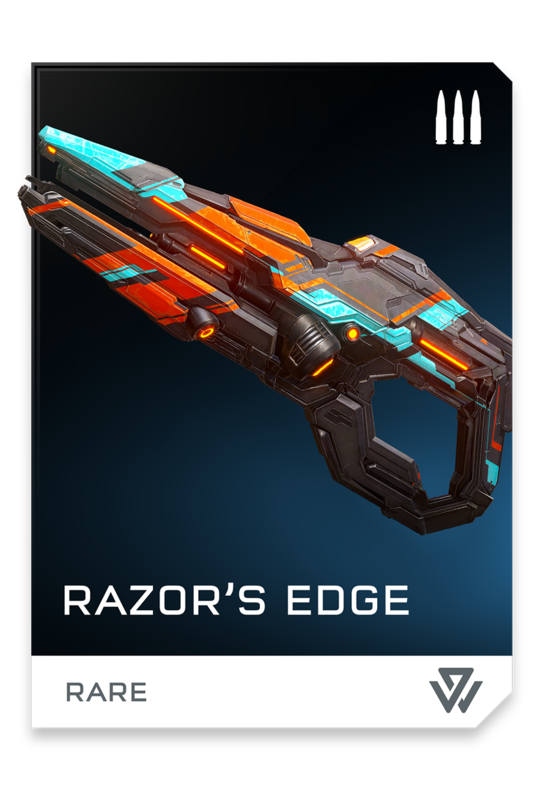 We’ve not only added many new pieces, and squashed some pesky bugs, but we’ve also added weather effects, a feature that has been on many Forger’s wish lists. 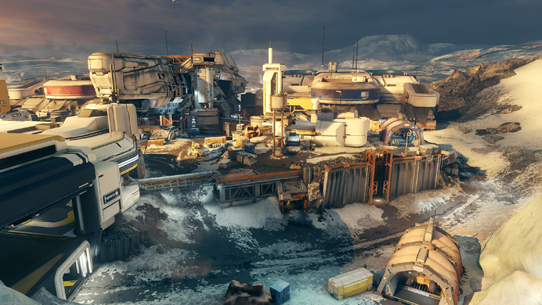 Add rain to your atmospheric Big Team Battle map, let it snow on your remake of Lockout, or immerse players in your post-apocalyptic city with embers that fill the night sky. 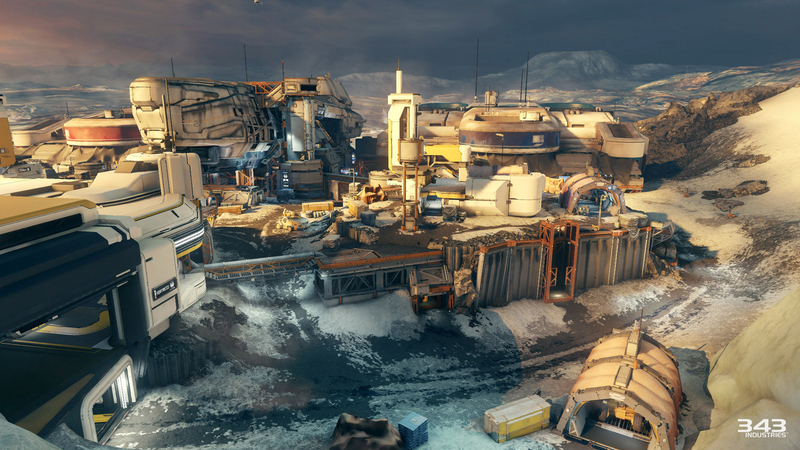 We’re excited to see how these weather effects take your creations to the next level, and continue to surprise us. 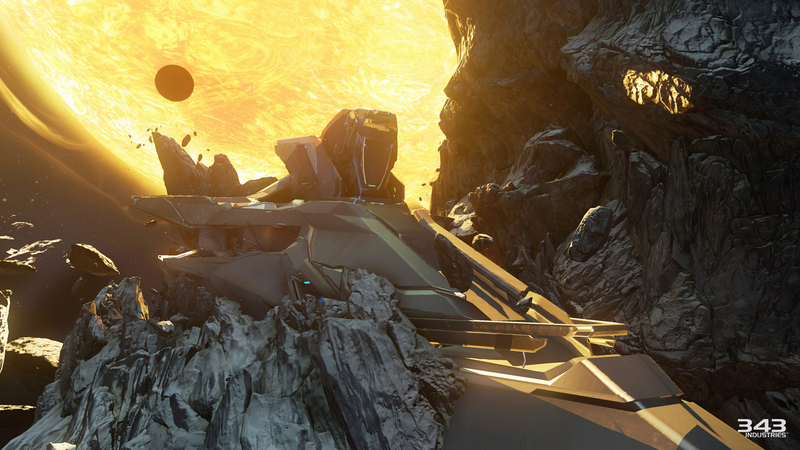 Forge on! 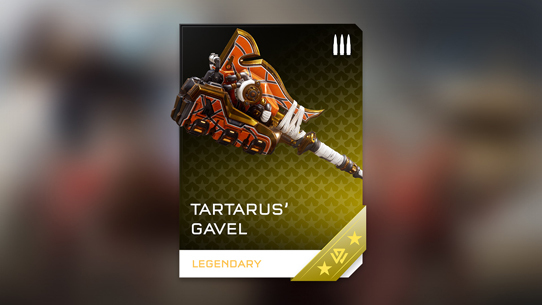 Tartarus' loyal lieutenants were also gifted a weapon worthy of such favor. 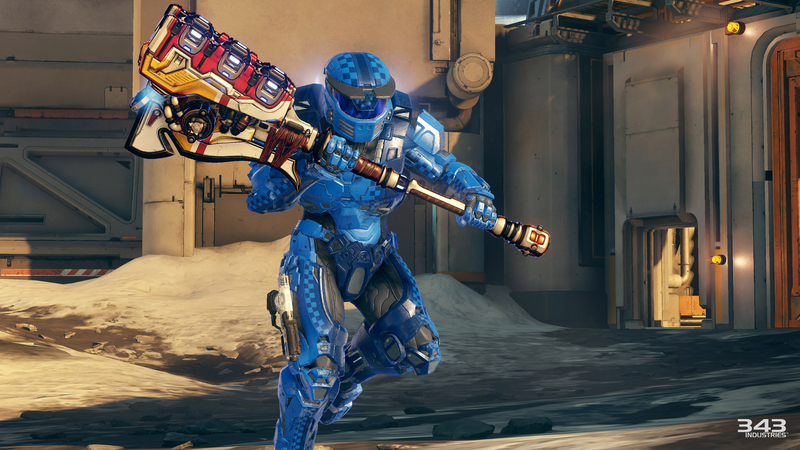 Mythic Gravity Hammer that unleashes a linear series of kinetic explosions with each swing. 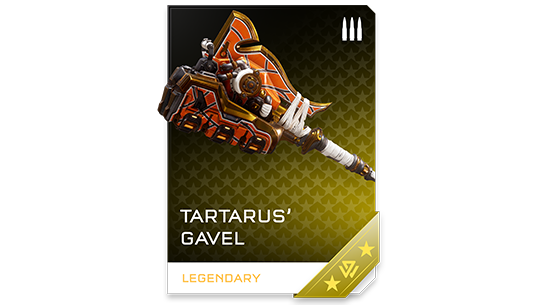 Equipping Tartarus' Gavel also boosts movement speed, shield strength, and jump height. 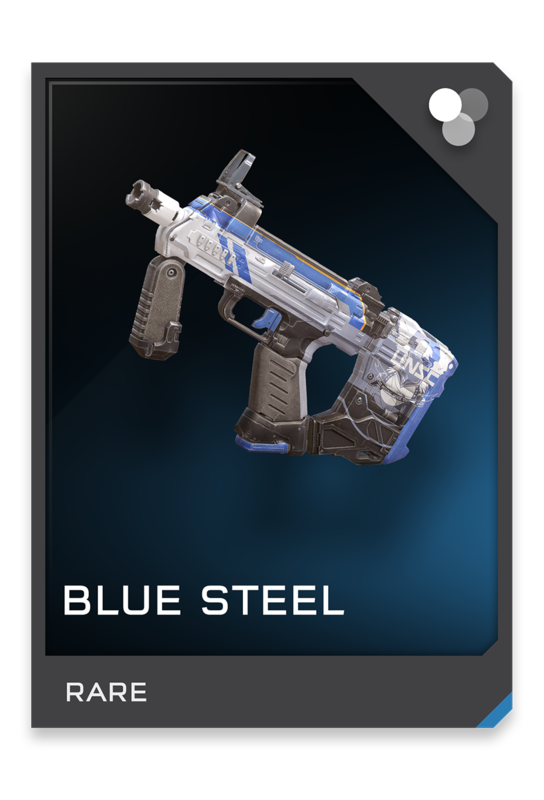 Made of the finest materials its owner could coerce or steal. 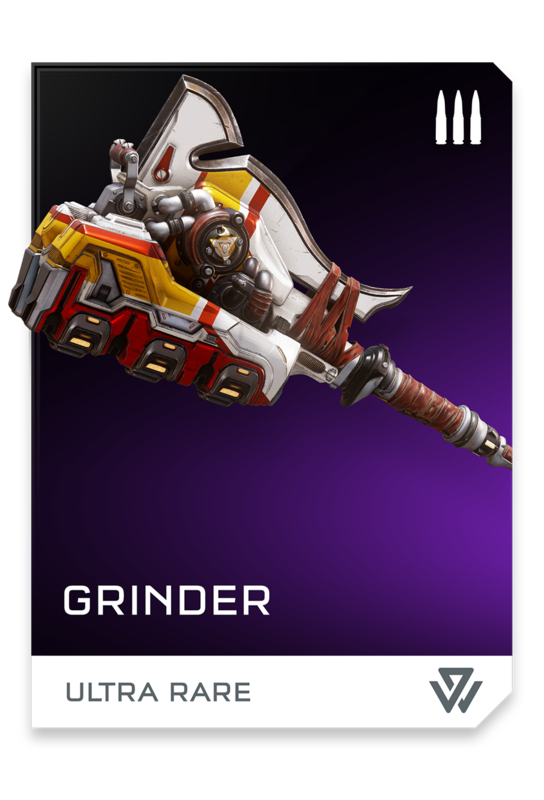 Improved Gravity Hammer with faster swing time and increased lunge range. 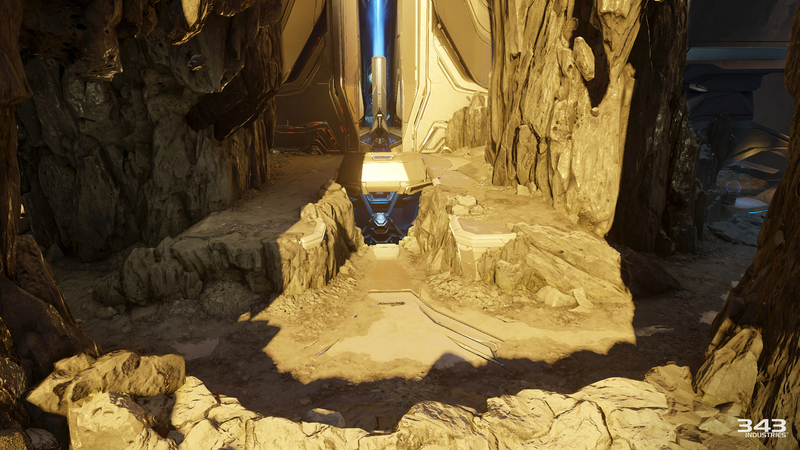 An unfortunate number of the Forerunners’ Conservation Measure operations required military intervention to complete. Upgraded Suppressor with faster fire rate, increased energy capacity, and higher reserve ammunition capacity. As extinction loomed, desperation led the Forerunners to experiment with volatile derivations of hard light. 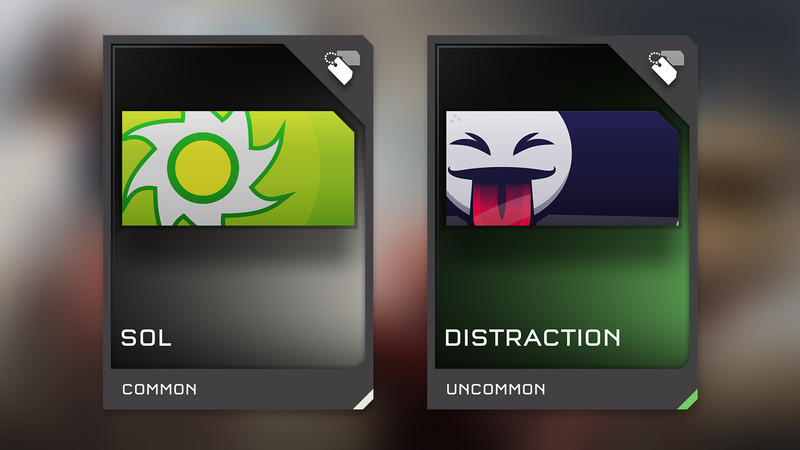 Advanced Suppressor firing fast-moving metastable energy shards. If multiple shards strike a target they will create a "supercombine" explosion. 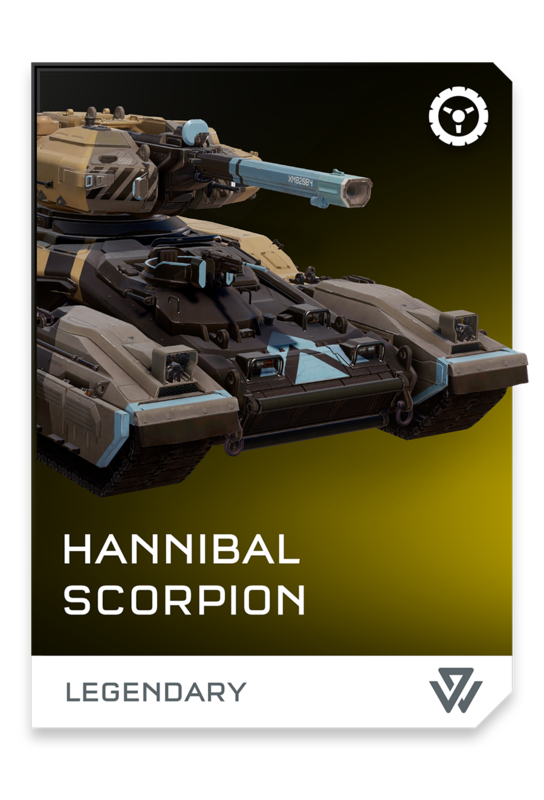 Hannibal works closely with the UNSC in its efforts to incorporate new weapons technology on existing vehicle chassis. 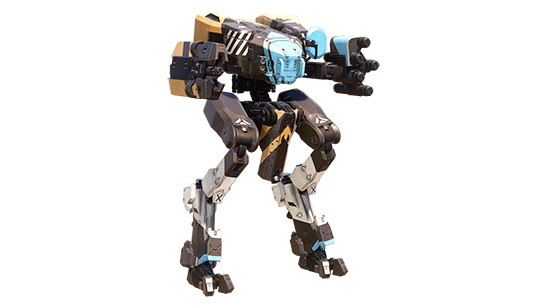 Advanced Mantis with heavy armor, rapid-fire gauss cannon, and experimental ion field missile warheads. 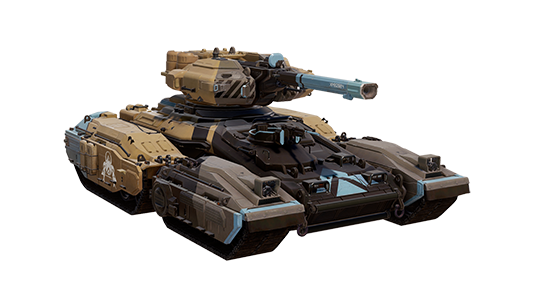 This is but one of Hannibal Weapon Systems' tank test beds fitted with the latest in vehicle-borne directed energy weapons. 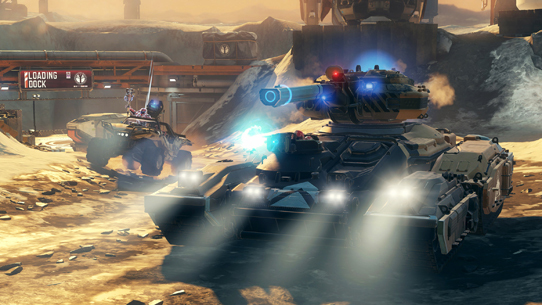 Advanced Scorpion with heavy armor and fast-discharge laser currently undergoing trials within UNSC Infinity War Games. 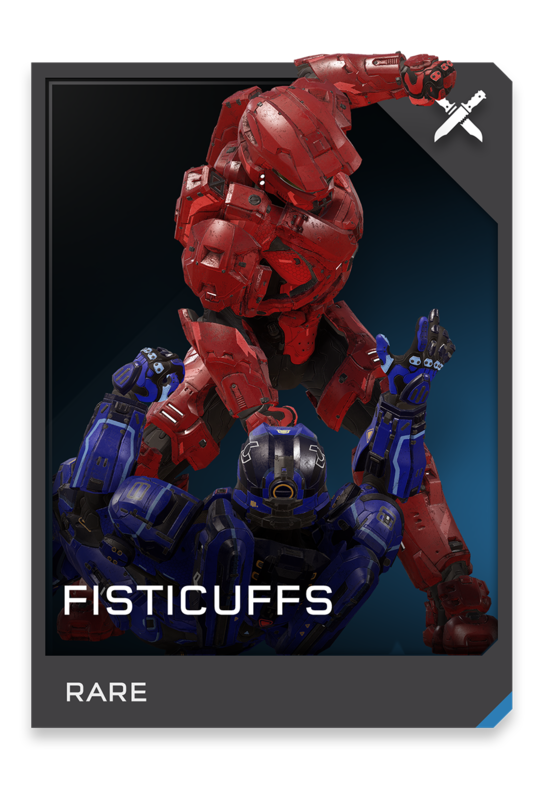 A good old fashioned beatdown. 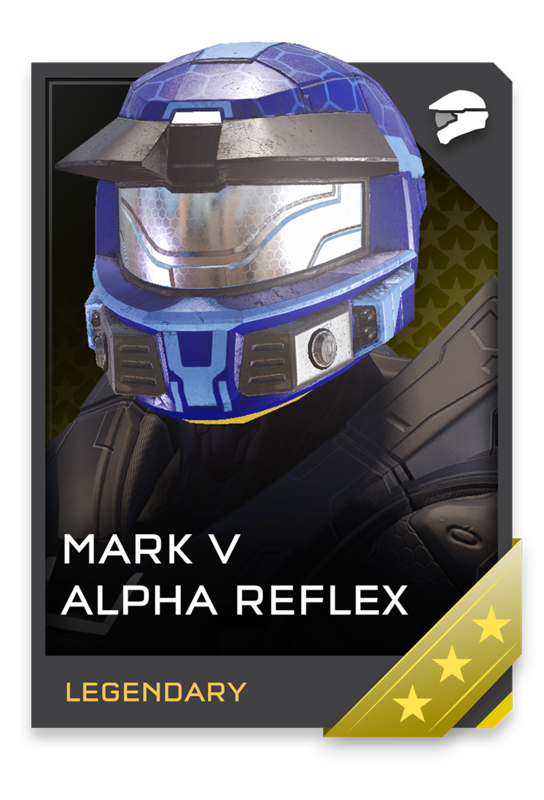 It is unclear who requested an integration check for the Mark V helmet with the latest GEN2 architecture, but engineers at Materials Group have been surprised at the MARK V ALPHA's near-parity with contemporary designs. 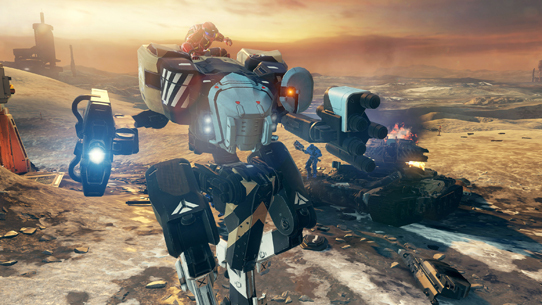 Walk the firing line like you own it. 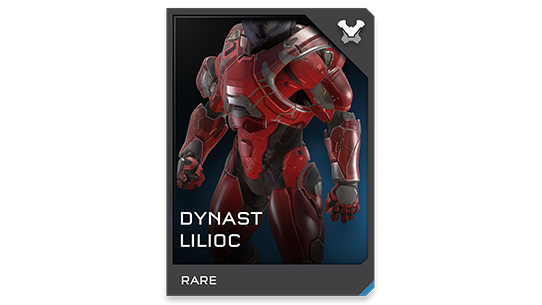 The DYNAST helmet shell is covered by layers of compressed carbon nanotubes and hyperdiamond sheets, making it fantastically durable . 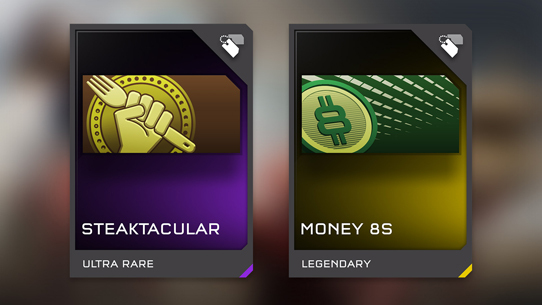 . . and expensive. 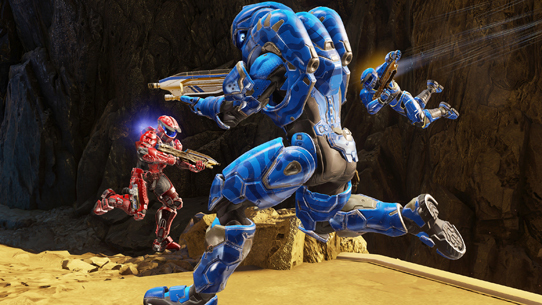 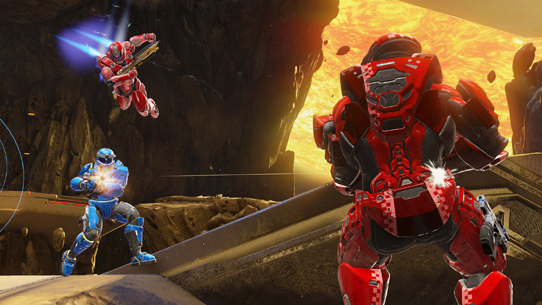 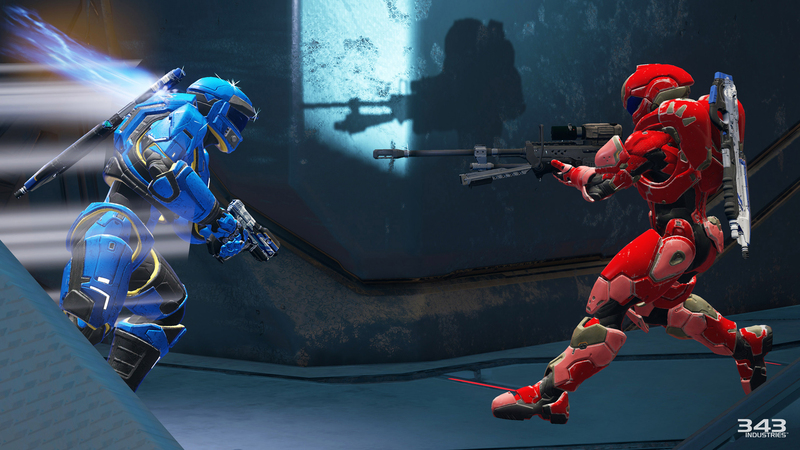 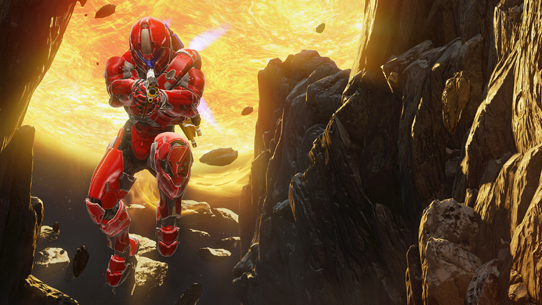 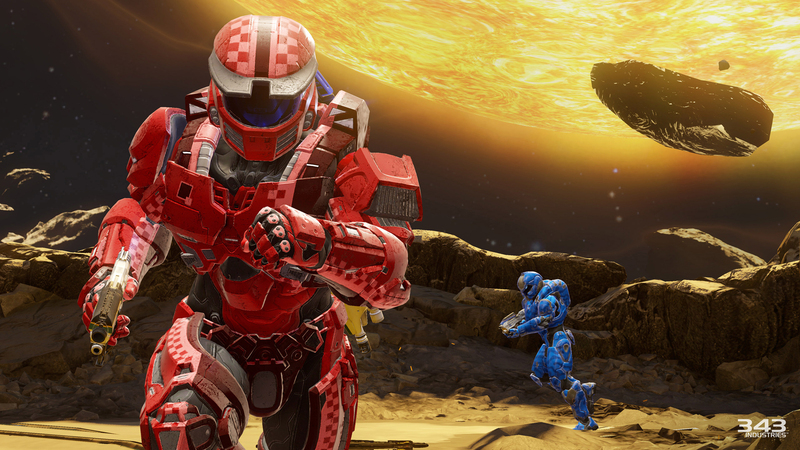 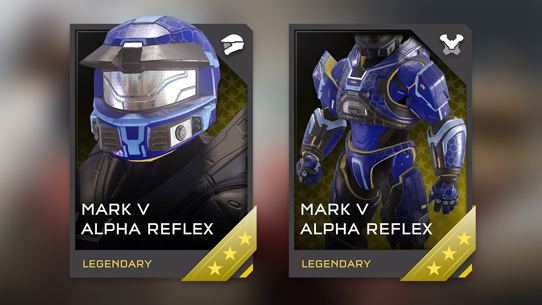 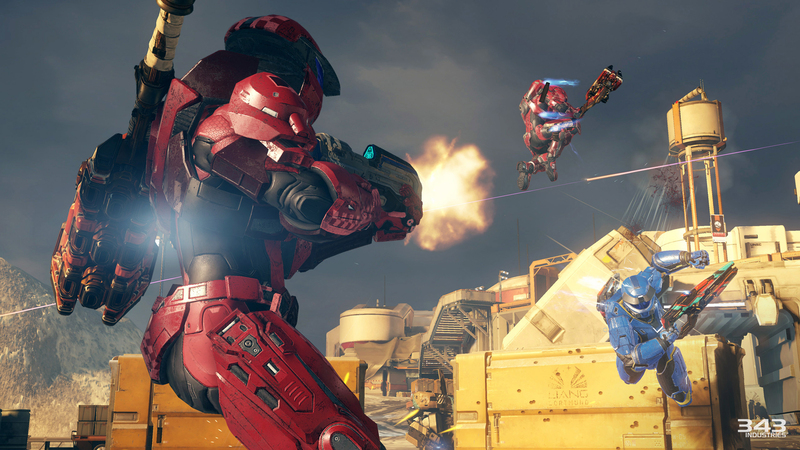 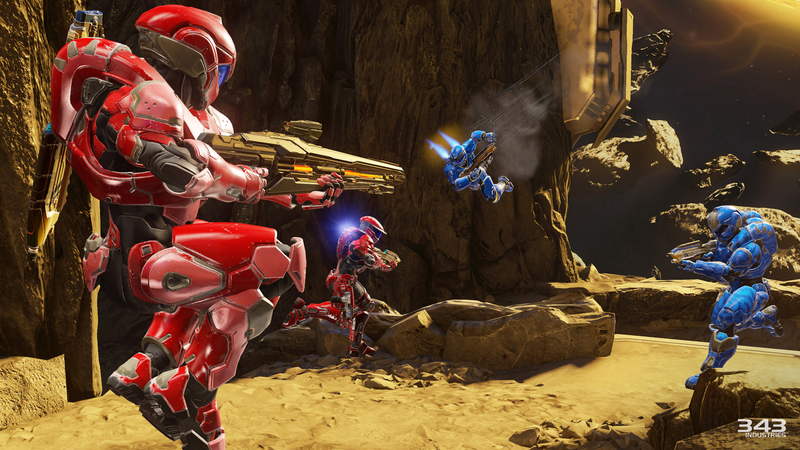 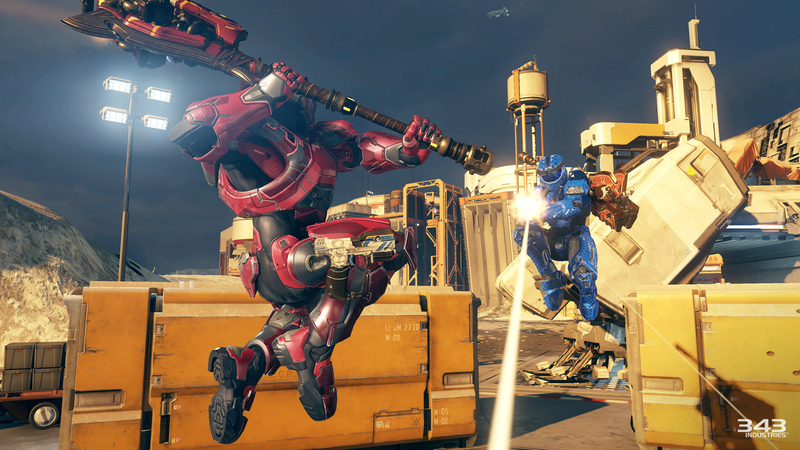 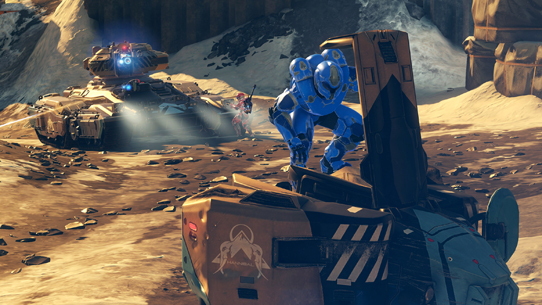 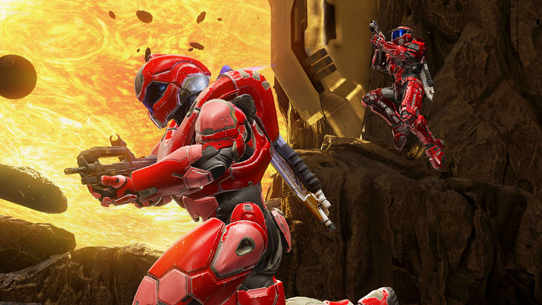 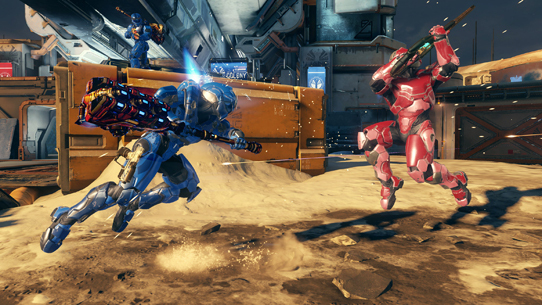 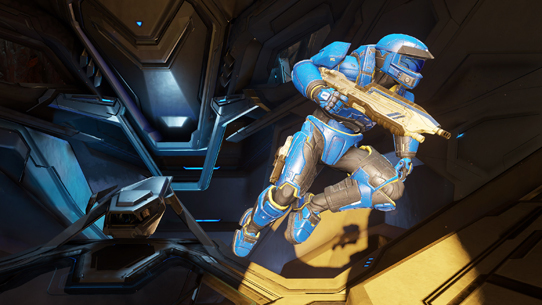 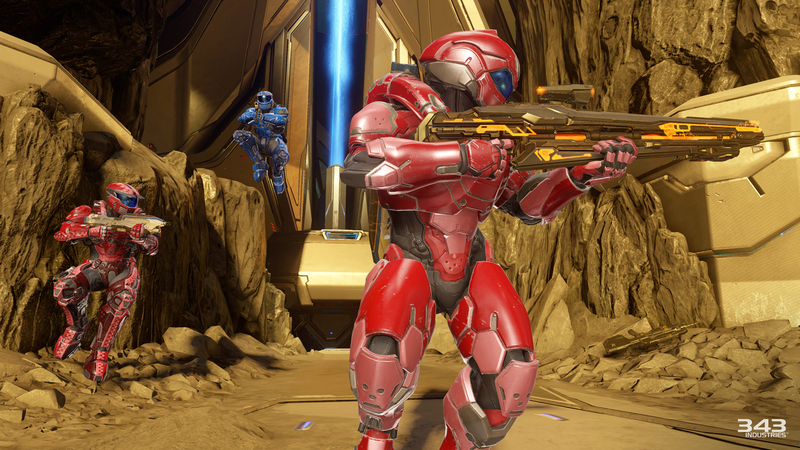 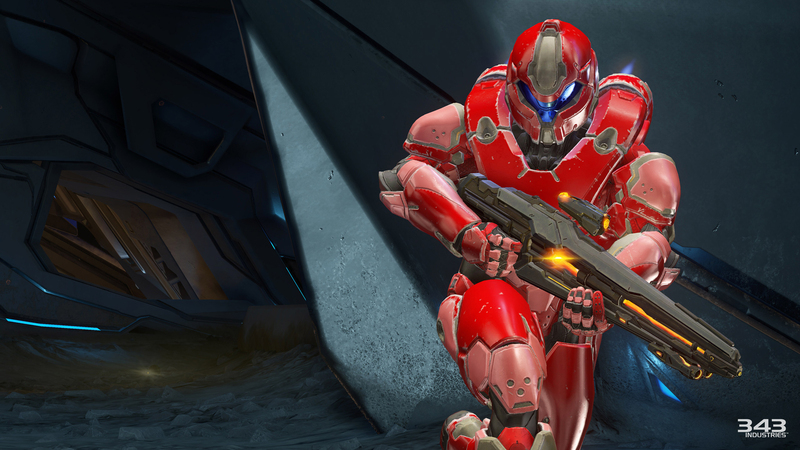 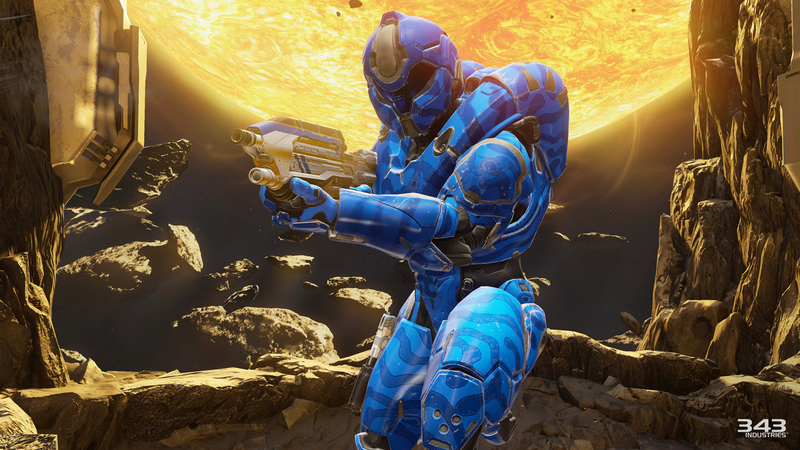 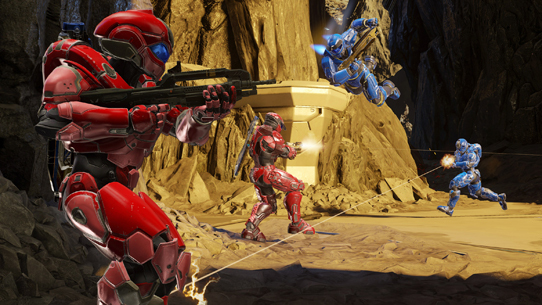 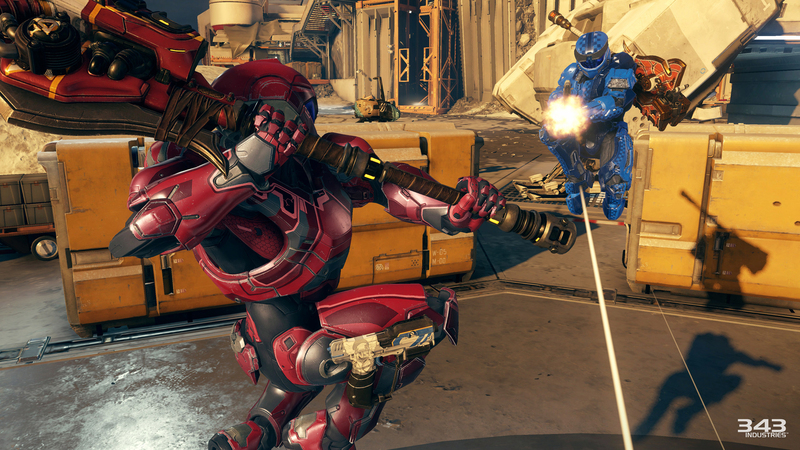 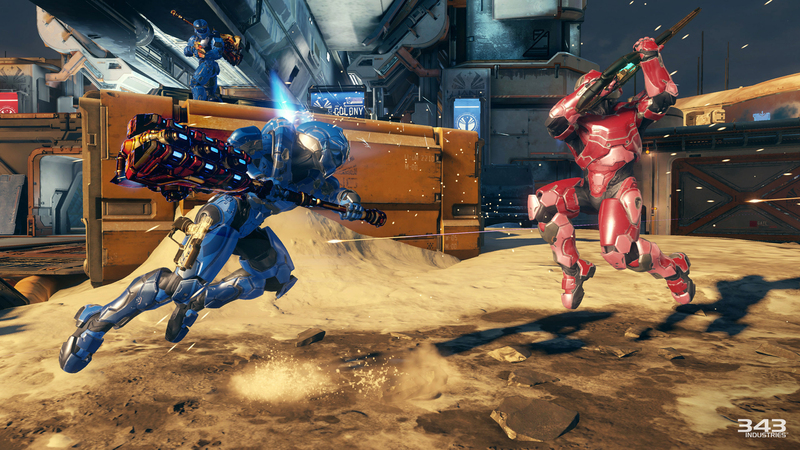 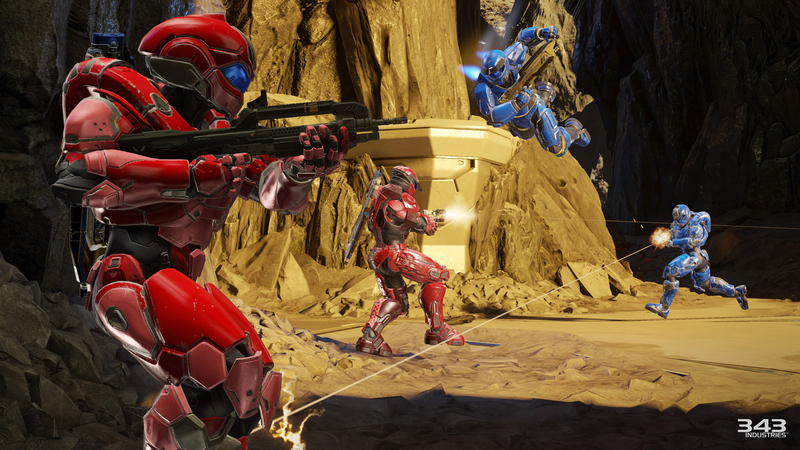 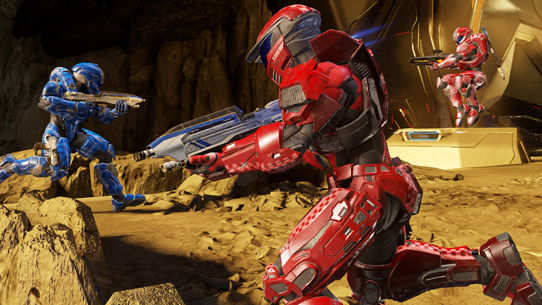 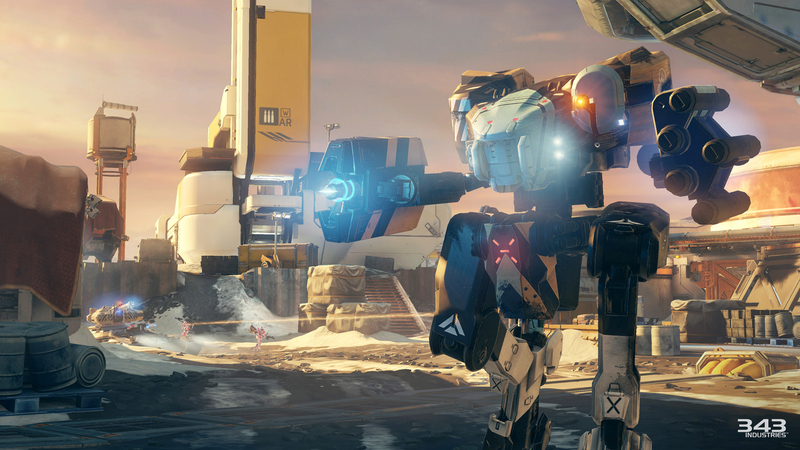 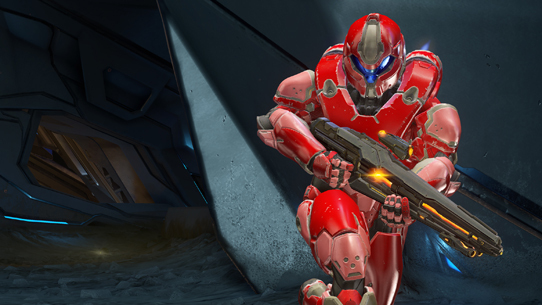 April 14 – 18: Warzone Firefight Beta playlist goes live.